Well, lemon doesn’t exactly scream January, however in California lately, the weather has been so nice it also FEELS like it could be late-Spring. I have been on a cupcake kick this month, as there have been a few birthday celebrations in the family with cake and cupcakes, as well as a Cupcake Tour I did in San Francisco through groupon, so I have been in that state-of-mind. My dad has a really nice garden set up full of fruit trees and vegetables, so they just finished harvesting tons of Yuzus, lemons and limes. 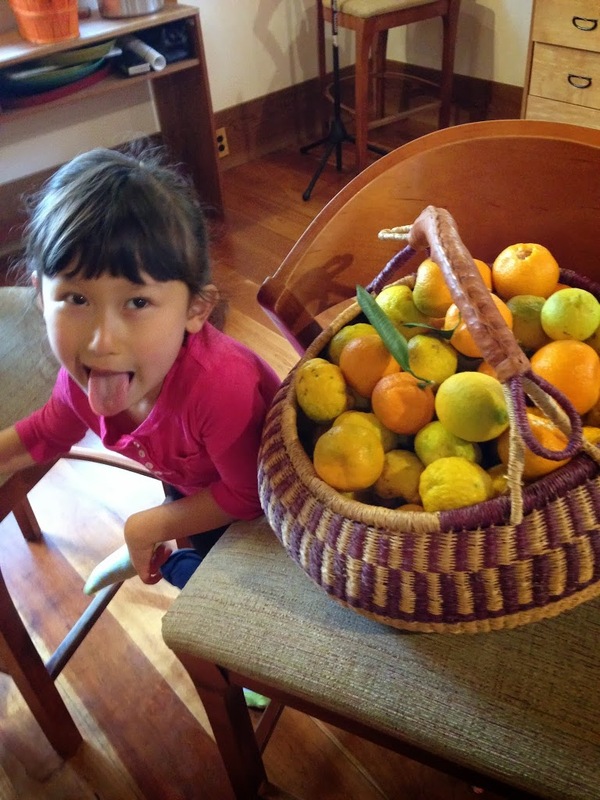 Yuzu is a Japanese citrus with a flavor unlike lemon or lime. It’s a really delicious and unique addition to any kind of dish. When my dad told me that he had a ton of yuzu juice from their harvest (they’ve been making marmalade and jam) I really wanted to try making yuzu curd. We made it together one afternoon while I was home, and it turned out amazing! I knewwww I had to make some citrus cupcakes so that I could use the Yuzu curd as filling since it has been the month of cupcakes in our house.They came out so good if I do say so myself. The buttercream is flavored with the curd as well, and gives it such a nice (yet subtle) kick. And cupcakes can be so cute, can’t they? Preheat the oven to 350 degrees, and line a muffin tin with cupcake liners. In the bowl of your standmixer, combine the sugar, cake flour, salt, baking powder and soda and zest, mix on low until incorporated. Add the butter, and mix on medium until the butter is broken up to the size of a dime. In a separate bowl whisk together the eggs, buttermilk and vanilla. Add half of the egg mixture to the mixer, and beat on medium for about a minute. Scrape down the sides of the bowl, and add the rest of the egg. Mix until there are no lumps and be sure to scrape down the bowl again. Portion into your muffin tin, and bake for 18-20 minutes. Allow to cool entirely before filling/frosting. 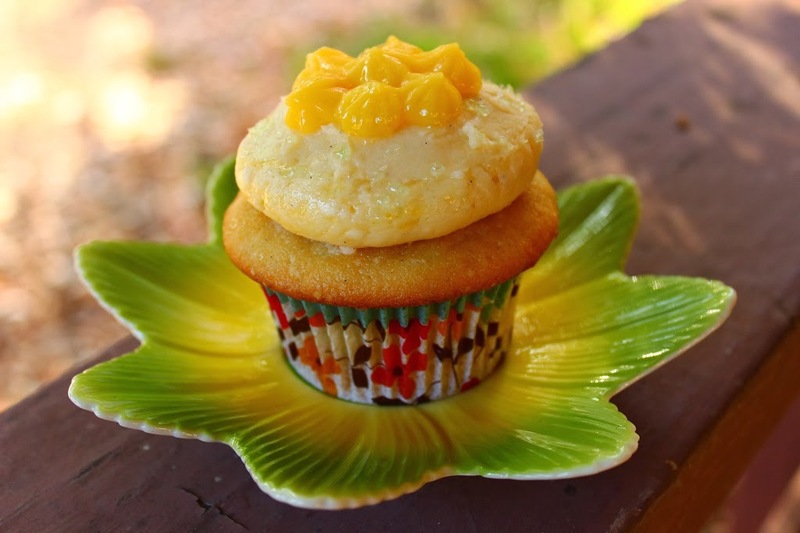 Use a large piping tip or a cupcake corer to take out a small hole in the center of your cupcakes. 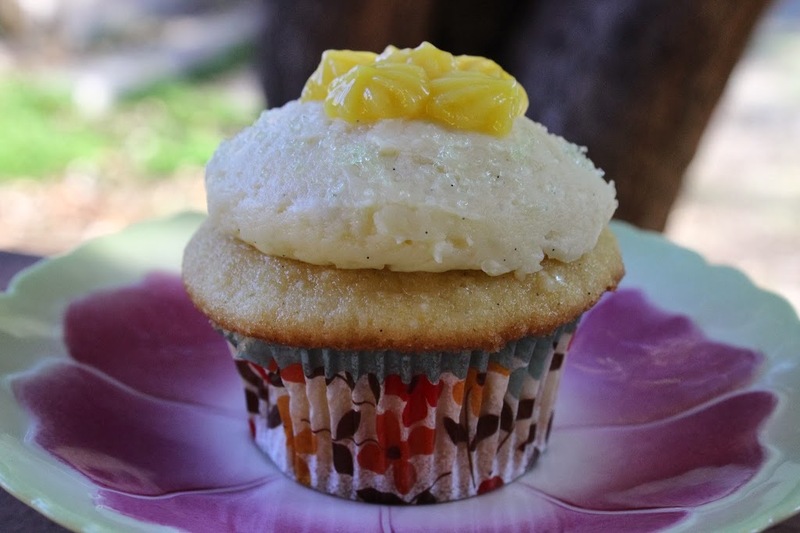 Fill a small piping bag (small star tip) with the yuzu curd and pipe into the cupcakes just to the top of the hole. 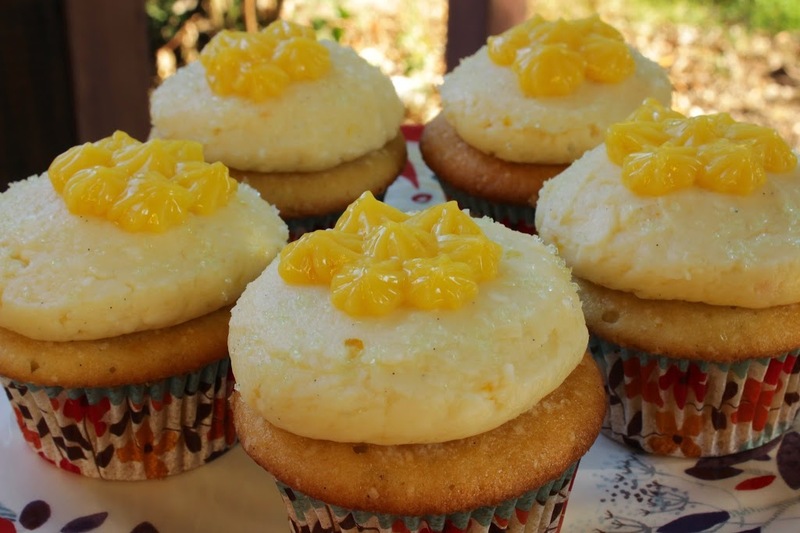 I had some of the buttercream from the Aunt Sassy Cake I had made earlier last week, so I used about 2 tablespoons of the Yuzu curd, and a teaspoon of lemon juice to flavor it for the cupcakes. Just use your standmixer with the whisk attachment to beat in the juice and curd into your buttercream of choice. Pipe on to the cupcakes with a large round tip, and use an offset spatula to smooth. For extra flair, pipe a cute decoration of Yuzu curd on top. Store in the refrigerator. I mentioned before that I went on a Cupcake Tour of San Francisco this week through a deal we found on Groupon. It was a fun way to walk around the Chestnut Street area and pop into cute bakeries to browse their products and taste cupcakes. My favorite cupcake shop was definitely Kara’s. 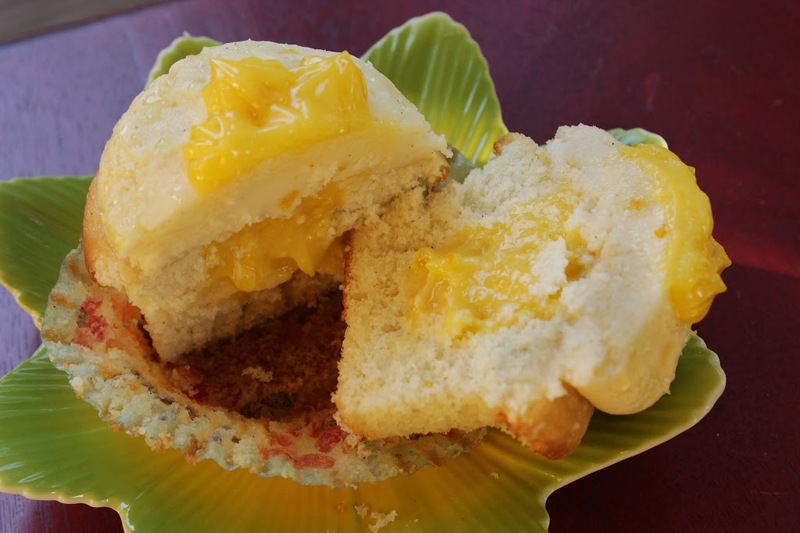 I made this recipe before we went, so it was nice to compare my work to some of the top cupcakes in SF. Because of the uniqueness of the yuzu flavor, I have to say these guys could stand up to some of the ones we tasted on the tour. I recommend making the curd if you can get your hands on enough Yuzu juice. So. Good. Photos taken by my wonderful boyfriend, Nevin Cullen. Hi Sophie! 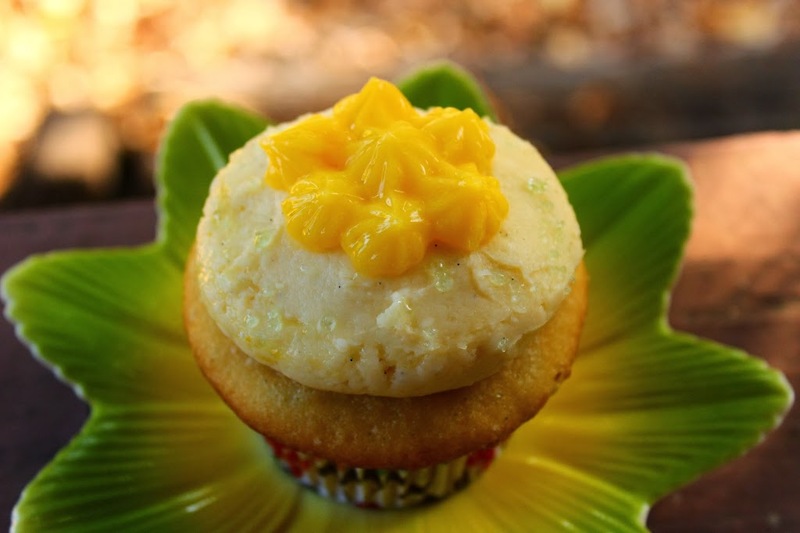 Your Yuzu Cupcakes look so awesome! 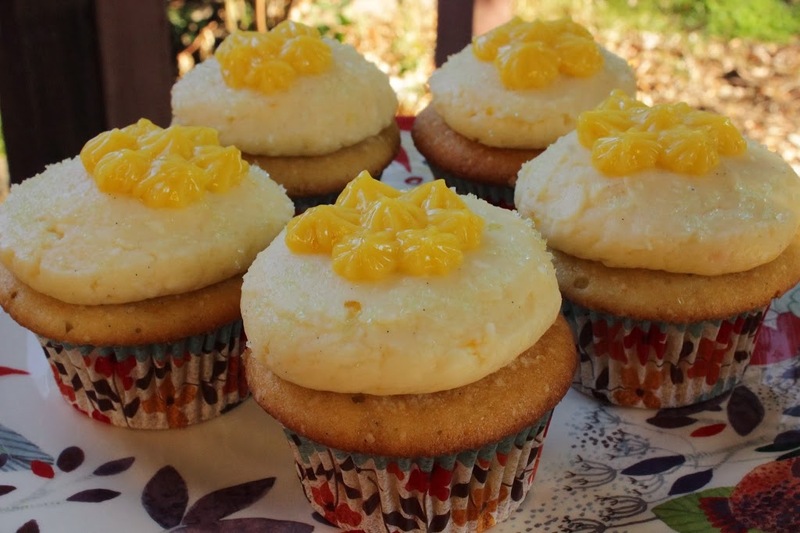 i have tried making yuzu cupcakes before, but without yuzu curd. Yours look so great! Can I know for your recipe stated, how many cupcakes you can make? Hi Serene! So sorry for the delayed response. 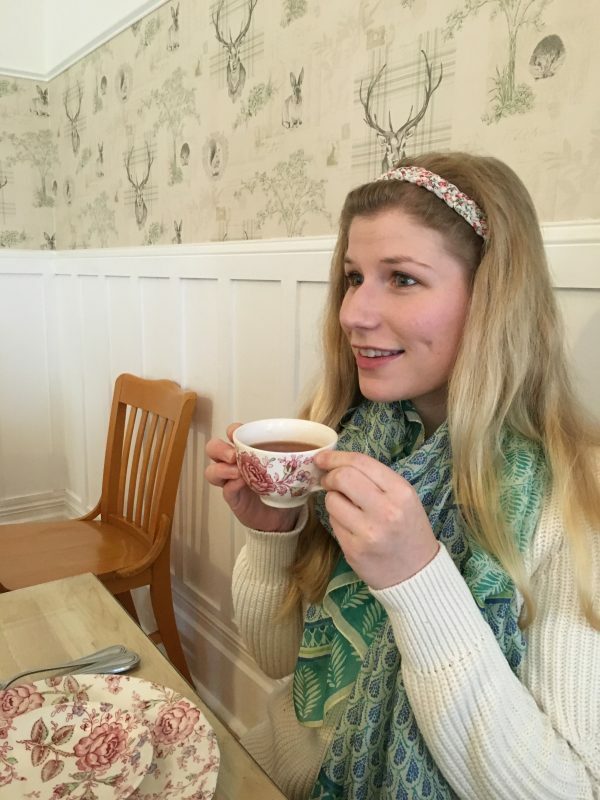 I’ve taken a prolonged break from the blogging world, but I’m hoping to get back to it soon. It’s been so long since I’ve made these cupcakes, I’m afraid I do not remember how many this recipe makes. However, I would say probably somewhere between 12-18 cupcakes. I hope that helps! !